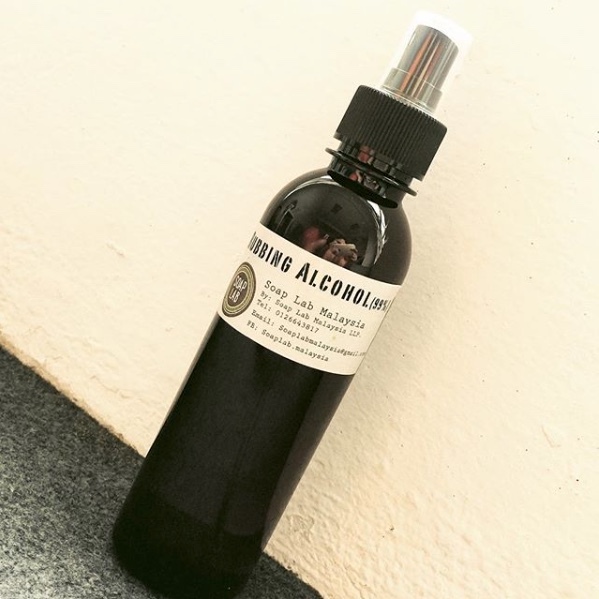 SoapLab Malaysia: Why use Rubbing Alcohol in Making Handmade Skincare? Why use Rubbing Alcohol in Making Handmade Skincare? Many have asked why is rubbing alcohol used in most of Soaplab's recipes. well it depends on which recipes you see. If you see it during the soap making process than its because these rubbing alcohol is sprayed to the surface of the soap after the soap is poured into the mold. The reason for doing this is because when pouring the soap into mold; at times bubbles will form on the surface of the soap. So spraying rubbing alcohol will break the 'surface tension' of these bubbles and finally 'break' it. no. Most of the time the rubbing alcohol will evaporate off with no residue left on your final product. Can i change the alcohol to something else like witch hazel? Can i not use rubbing alcohol in soap-making? yes you can. if you don't spray it on the surface; the bubbles wont break and you will have a bubbly bumpy surface when soap hardens. In other recipes we use rubbing alcohol for sterilisation. Sterilisation means we are 'cleaning' the equipments by killing off any bacteria or moulds or spores that are possibly on the equipment. sure. but you still need to sterilise your equipments and workspace. What happens of i don't sterilise. shelf life is dependent on few factors and ive written a post about how to determine and prolong expiry dates here. if you want to read more about preservation, please click here. Hope this clarifies some of your doubts about making handmade skincare. if you have any further questions; please don't hesitate to leave a comment below.